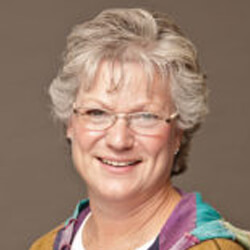 Lois Hitchcock has 27 years of diverse healthcare experience within the healthcare delivery system. As a part time instructor in the health information management program at UIC, her undergraduate curriculum responsibilities include Introduction to Healthcare Systems, Management and Business Practices, Healthcare Data Analysis and Research, and Alternative Healthcare Records. She teaches the prerequisite BHIS 386 for the Master of Science in Health Informatics program. As the Administrative Director of Health Information Management at Loyola University Medical Center in Chicago, she assumed planning and fiscal responsibility for the HIM department of a 500-bed university hospital. Other experiences include responsibility for development and implementation of the medical record services for a new hospital as the Director of Medical Records. In her position as Manager of Client Services, she was responsible for the installation and implementation of hospital medical record systems for client hospitals. Hitchcock holds a Master of Science in Healthcare Administration from University of Laverne in Laverne, California, and a Bachelor of Arts in Health Information Administration from the College of St. Scholastica in Duluth, Minnesota. She is a Registered Health Information Administrator (RHIA) from the American Health Information Management Association and Certified Professional in Healthcare Quality (CPHQ) from the National Association of Healthcare Quality.